One of the major positive trends in UX is the continued emphasis on design—a kind of design that highlights the designer’s creative skills and insights and embodies a synthesis of technology with usability, usefulness, aesthetics, and meaningfulness to the user. In this edition a new conceptual top-down design framework is introduced to help readers with this evolution. This entire edition is oriented toward an agile UX lifecycle process, explained in the funnel model of agile UX, as a better match to the now de facto standard agile approach to software engineering. 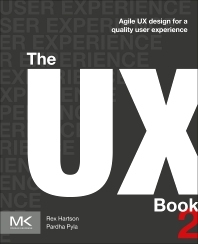 To reflect these trends, even the subtitle of the book is changed to “Agile UX design for a quality user experience”. 1. What is UX and UX design? 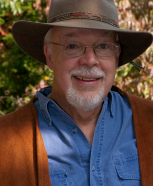 Rex Hartson is a pioneer researcher, teacher, and practitioner-consultant in HCI and UX. He is the founding faculty member of HCI (in 1979) in the Department of Computer Science at Virginia Tech. With Deborah Hix, he was co-author of one of the first books to emphasize the usability engineering process, Developing user interfaces: Ensuring usability through product & process. Hartson has been principle investigator or co-PI at Virginia Tech on a large number of research grants and has published many journal articles, conference papers, and book chapters. He has presented many tutorials, invited lectures, workshops, seminars, and international talks. He was editor or co-editor for Advances in Human-Computer Interaction, Volumes 1-4, Ablex Publishing Co., Norwood, NJ. His HCI practice is grounded in over 30 years of consulting and user experience engineering training for dozens of clients in business, industry, government, and the military. Pardha S. Pyla is a Senior User Experience Specialist and Interaction Design Team Lead at Bloomberg LP. Before that he was a researcher and a UX consultant. As an adjunct faculty member in the Department of Computer Science at Virginia Tech he worked on user experience methodologies and taught graduate and undergraduate courses in HCI and Software Engineering. He is a pioneer researcher in the area of bridging the gaps between software engineering and UX engineering lifecycle processes.